Personalised and Engraved Knife and Slice Set. 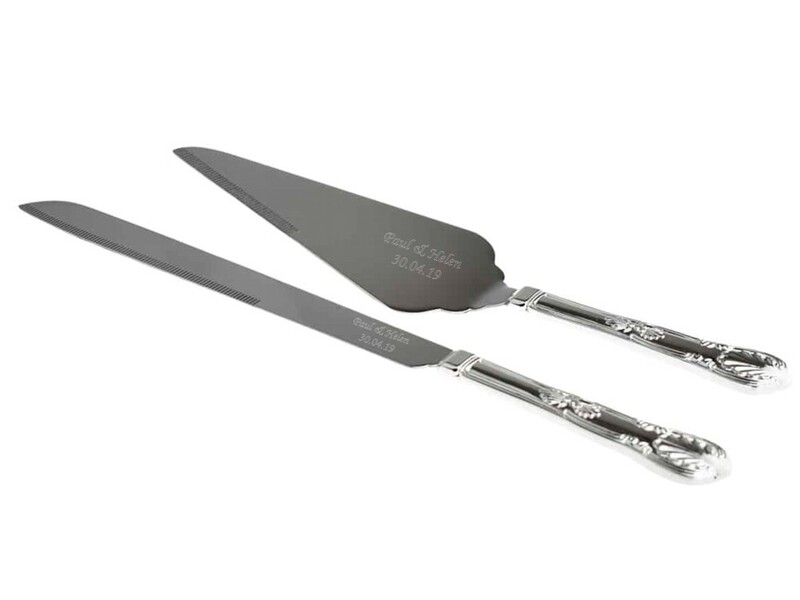 A beautiful silver plated engraved knife and slice set. Engrave with your text e.g. names and a date. Beautiful ornate/antique style handles. A perfect wedding or anniversary present.